Bookphilia.com: "An interest not wholly free from pain"
This morning, I began my Victorian Literature reading project - not, however, with Dickens's Barnaby Rudge as planned, but rather with The Old Curiosity Shop, published the same year or the year after. Why, you ask? Well, the sad fact is, I couldn't find an even vaguely critical edition of Barnaby Rudge anywhere, and as it's based in an historical moment with which I'm not familiar, I thought I needed at least a good introduction. It turns out anyway that I already owned a copy of the tale of Little Nell, so I decided to go with that. And it looks like it's going to be a doozy, friends. On page 5 (the novel began on page 3), I read this sentence in the narrator's introductory remarks about finding Little Nell wandering and her childlike trust in him, a stranger: "I love these little people, and it is not a slight thing when they, who are so fresh from God, love us." 'Oh, so it's going to be that kind of book is it, Chaz!' I thought as I choked on my easily played emotions while trying to read this sentence aloud to my husband. Dickens is a master of extravagent, but for me nonetheless entirely irresistable, sentimentalism; and this sentence promises a level of the emotion-wringing unseen since I read A Tale of Two Cities about 2.5 years ago. In other words, The Old Curiosity Shop promises some seriously good, if weepy, times. Wait, you seem to mean something else. Do not Google that quote (not until you've finished the book) if you don't already know what I'm talking about. Does your edition have illustrations? The illustrations in this one were unusually good. You've confused me but I'm sure everything will be revealed soon. Yes, my copy has abundant and excellent illustrations. Was Dickens the only Victorian author to rely so heavily on illus. in his works? My copies of other Victorian novels almost never include any. The lack of illustrations in many editions of Victorian novels is the fault of English professors, New Critics and so on who thought the only thing meaningful was the pure disembodied text. 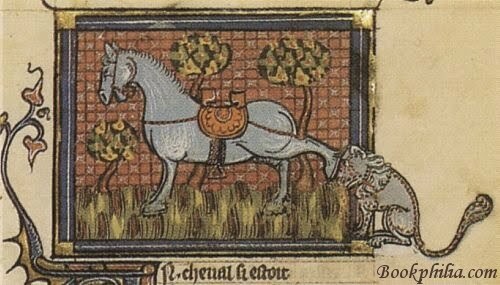 The presence of illustrations in many editions is the good work of English professors, New Historicists and so on who thought the material object had its own meaning. Every Dickens novel should come with illustrations. Many of them, however, ain't that good. The Take of Two Cities pictures were bland, useless. 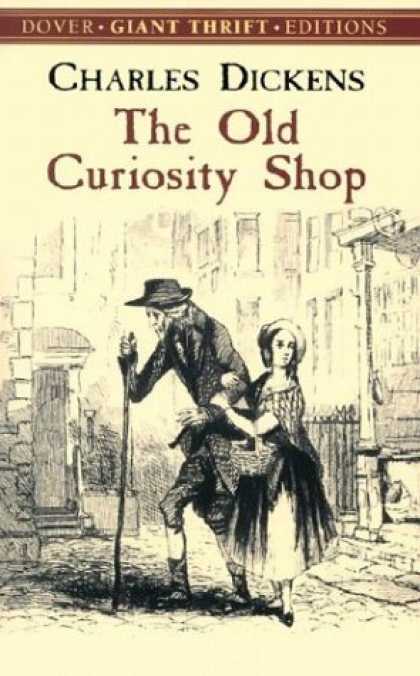 The The Old Curiosity Shop pictures are a lot of fun. Thackeray actually did his own illustrations. Vanity Fair has some great ones, including some that actually comment on the text. I don't know who else had good illustrations, aside, of course, from the supposed kids' books - Lewis Carroll and Edward Lear.